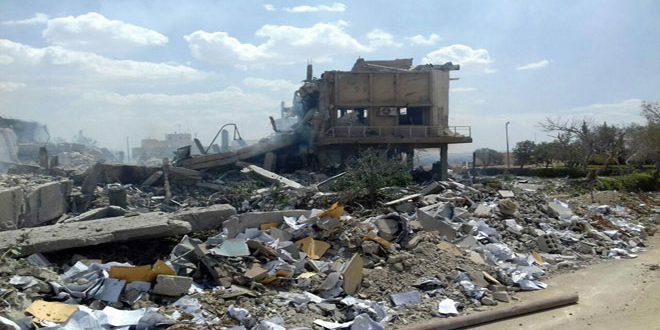 Damascus, SANA- People’s Assembly strongly condemned the US-British-French tripartite aggression on Syria, confirming it violates the international legitimacy principles, international law and UN Charter. 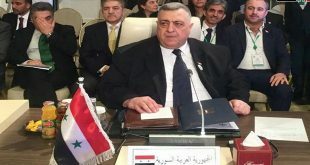 In a statement on Saturday, the People’s Assembly demanded the Inter-Parliamentary Union, Union of the Organization of Islamic Cooperation (OIC) Member States’ councils, and all the parliamentary, regional and international organizations to shoulder their ethical and legal responsibilities by condemning the aggression which will only fuel the world’s conflicts and threatens international peace and security. 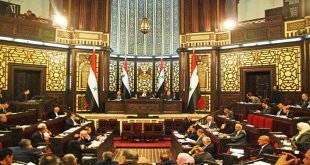 The Assembly considered that unjustified aggression on a sovereign state and a founding member of the United Nations is an attempt to foil the work of Organization for the Prohibition of Chemical Weapons (OPCW) in Douma city in Eastern Ghouta. The People’s Assembly hailed the steadfastness of the Syrian people who took to the streets in various provinces since Saturday dawn to denounce the aggression, also saluting the heroes of the Syrian Arab Army who proved their ability to down hostile missiles. 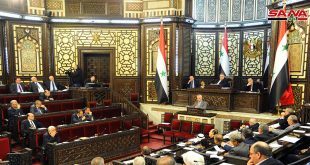 The People’s Assembly reaffirmed that these attacks will only boost the determination of the Syrian people and army in defending Syria’s sovereignty and national dignity.